Flora Celtica - Plants and People in Scotland, now in its third printing, documents the continuously evolving relationship between the Scots and their environment. Based on a mixture of detailed research and information provided by the public, this book explores the remarkable diversity of ways that native plants have been, and continue to be, used in Scotland. The information is presented in clear and accessible format and is laced with quotations, illustrations, case studies and practical tips. The book covers the complete spectrum of plant uses, addressing their diverse roles in our diet, healthcare, culture, housing, language, environment, crafts, and much more. It is ideal as a reference book and also a delight to dip into for all those with a passion for natural history. It is illustrated in colour throughout. This book was the culminating output from a project run at the Royal Botanic Garden Edinburgh, aiming to document and promote the roles of plants in Scottish society. Other outputs included a travelling exhibition and a schools roadshow. 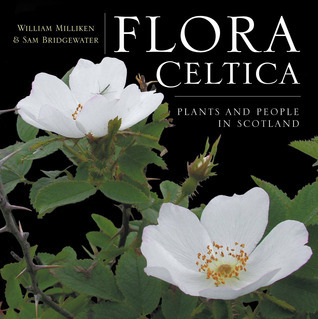 Flora Celtica - Plants and People in Scotland is available from online retailers such as Amazon and Birlinn<, as well as from selected high street bookshops.